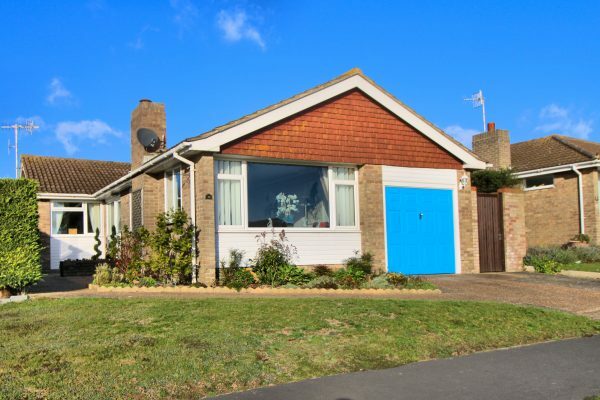 Congratulations to the Vendor and Purchaser of this property in QUARRY LANE, SEAFORD. A deceptively spacious detached bungalow situated in this popular residential area within easy reach of Cradle Hill Primary School and parade of shops in Lexden Road. Local bus services pass the door and the main bus route operating between Eastbourne and Brighton is also close-by. Seaford town centre and railway station are approximately 1.5 miles distant. The accommodation comprises a double aspect lounge, modern kitchen/breakfast room, shower room, separate W.C. and two double bedrooms both with built-in wardrobes and an additional third bedroom, which is currently used as a dining room. The property further benefits from uPVC double glazing throughout, gas central heating, integral garage, off road parking and attractive front and rear gardens. Viewing is highly recommended to fully appreciate this well presented and spacious bungalow.